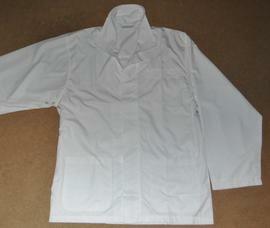 This is a lightweight umpires jacket. Weighing in at just under 400g this jacket is ideal for those in-between days where a coat might be too hot and just a shirt is too cold. It has a full length zip with a velcro cover flap. The lining is a lightweight mesh and there are under arm vents. Three sizes are available - medium, large and extra large.